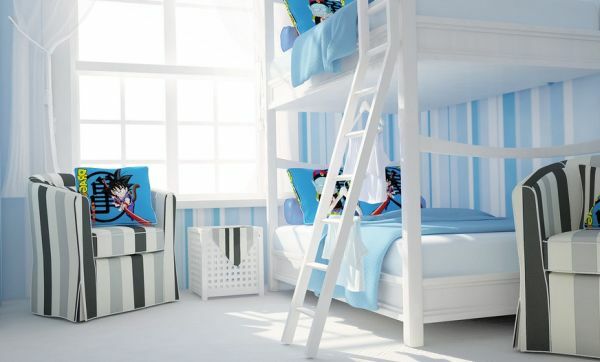 Just like pink is the ‘go-to’ color for girls’ bedroom designs, it is becoming more and more clear with each passing day that blue is the shade for boys. 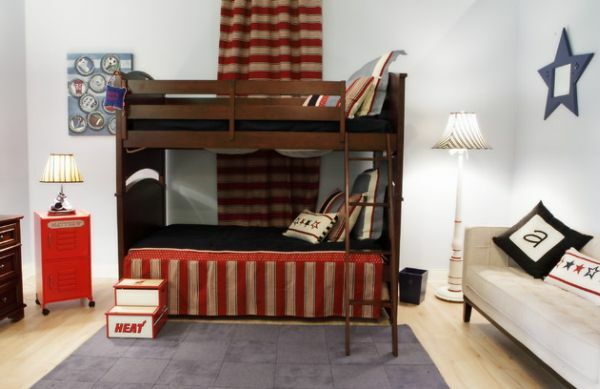 What is fascinating to ponder over is the fact that there was a time at the start of the last century when blue was considered the more feminine color while light pink was supposed to work well for bedrooms of baby boys! 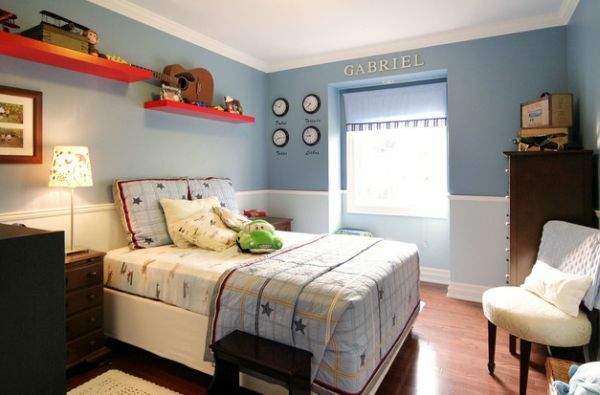 Changing times and color trends have seen a shift in the spectrum and ‘cool blue’ is indeed the bold and masculine color of the times. 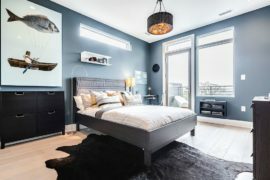 There are various little ways in which you can bring in the blue theme and with the varying shades of blue offering many alternatives; this is one of the easiest themes to pull off. From the contemporary to the nautical, from cool casual to custom-crafted style, the range of choices is as wide as the sapphire sky! Delve to find some lovely inspirations that will get you started. 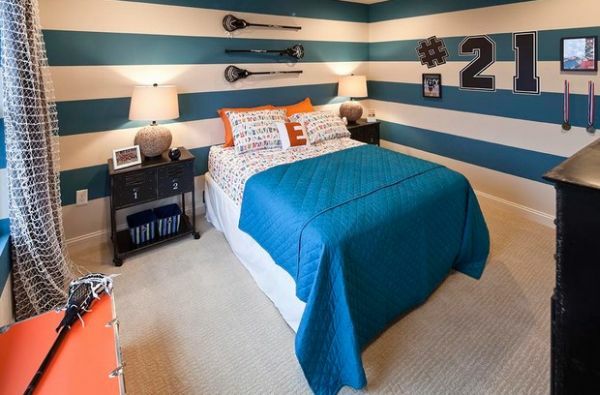 Black and white pattern seems to blend with blue seamlessly! 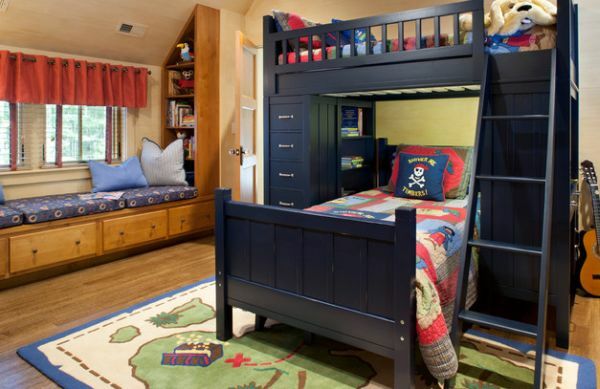 One of the biggest advantages of using blue in boys’ bedrooms is the incredible flexibility that it brings to the table. This goes way beyond just the various shades and hues that it comes. 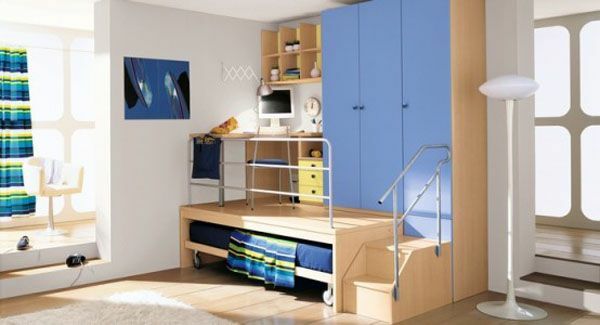 The versatility of blue allows you to upgrade the room of your kid as they grow older and since it is relevant across age groups, the changes can be kept to a minimum. 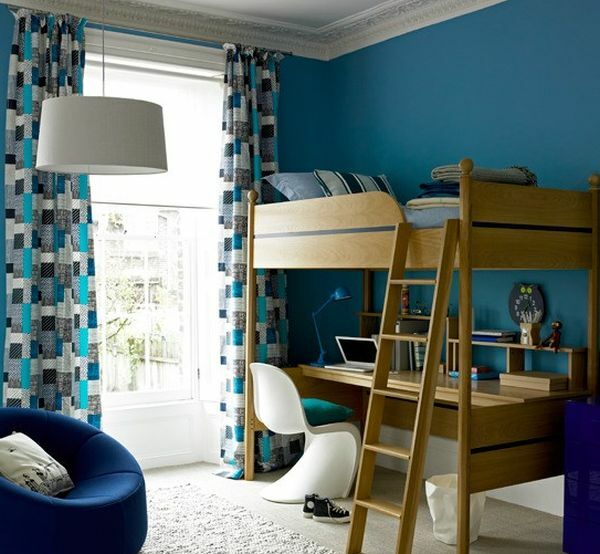 With most modern homes opting for sleek and stylish contemporary themes, blue along with white or other neutral shades makes the kids’ bedroom a perfect extension of the remainder of the house. 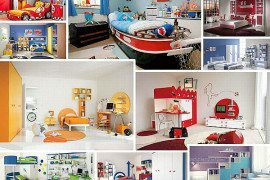 Having a rigid theme that cannot be easily refurbished and needs a complete overhaul is one of the worst ways to design a kids’ bedroom. 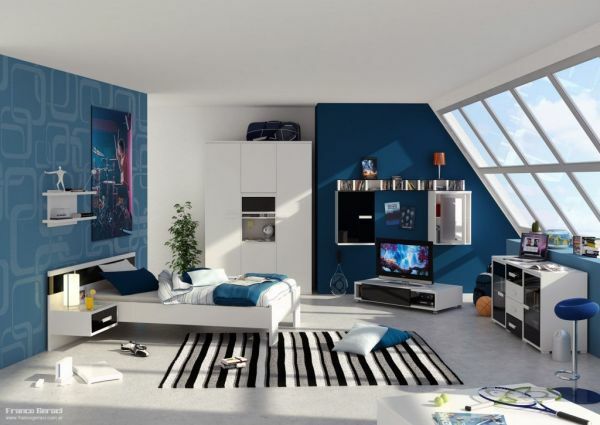 With their ever-altering tastes and choices, it is best to use neutral walls with blue accents that are brought in by drapes, cushions, bedding, a lone accent wall and matching décor. Stars, Sports and the Deep Blue Sea! 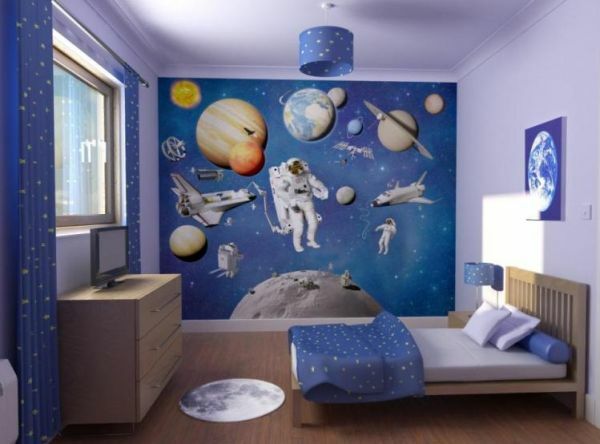 The most important aspect of a kids’ room is the theme that you choose for it. Blue is a color that works with pretty much any and every theme. 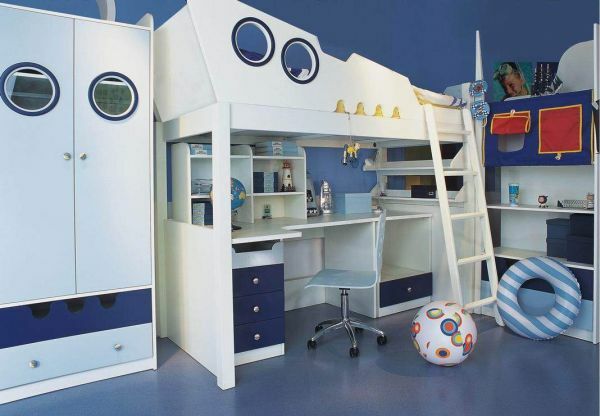 In fact, some of the most popular themes of boys’ bedrooms need a fair bit of blue in them to really work. 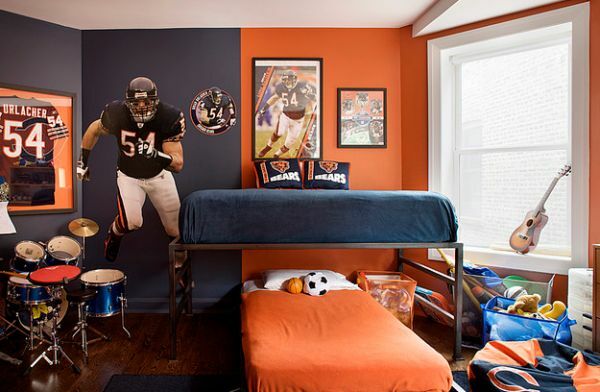 Sports-themed rooms are popular with kids ranging from the age of 5 or 6 to the time they hit their late teens. Even then, they rarely become outdated and need few changes to keep them relevant. 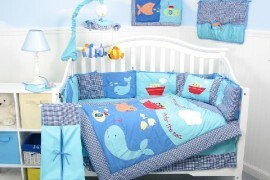 Another popular theme in blue is the ‘nautical style’. 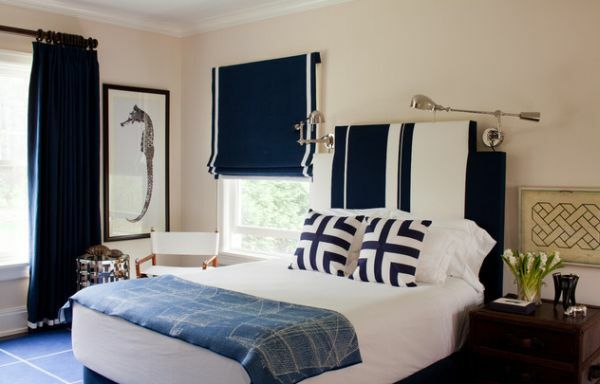 Navy blue used for this theme is both bold and pleasing at the same time. 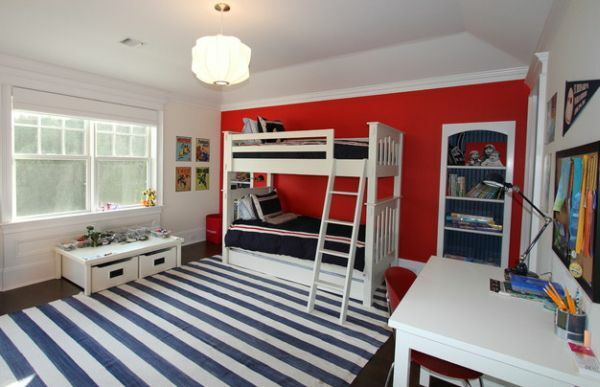 Kids’ room with nautical motif along with stars and stripes thrown in for good measure! 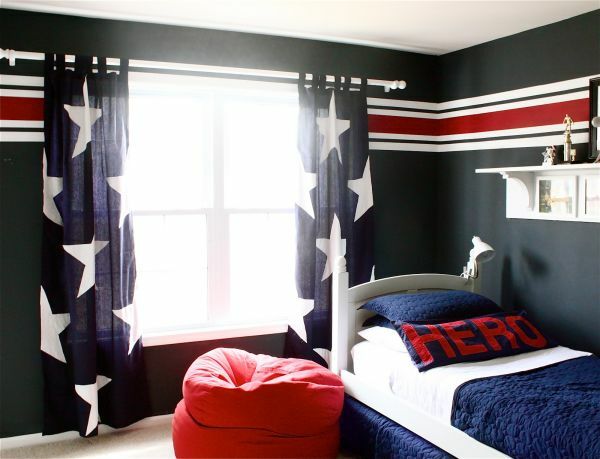 Be it the stars in the sky or a patriotic ‘stars and stripes’ look, no other color scheme presents such wide array of choices when it comes to modern boys’ bedroom design ideas. 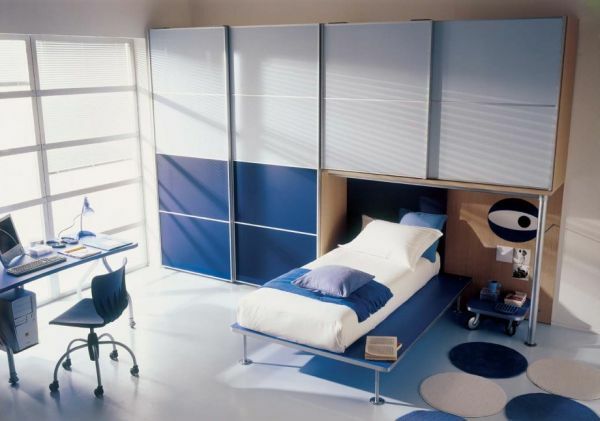 This is possibly the single most important factor in making blue the most sought after shade in this sector of interior design. 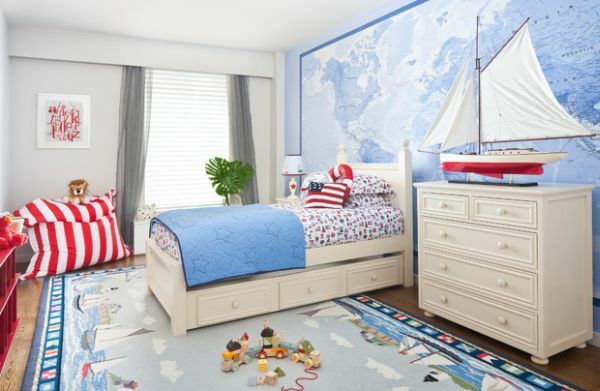 Embracing the nautical vibe fully with blue and white! Blue is a color that has always been a symbol of self-assurance and poise. Yet, it seems to combine vivacious appeal with relaxing and soothing calm. 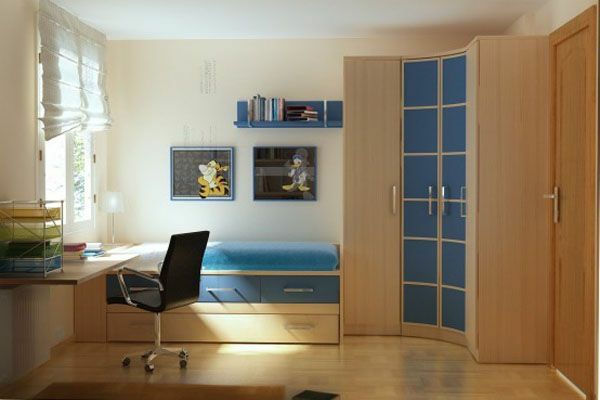 A trait that is an absolute must when you are choosing a hue for the bedroom. Blend in blue with shades like brown, red, white or white and the result is both elegant and exquisite. 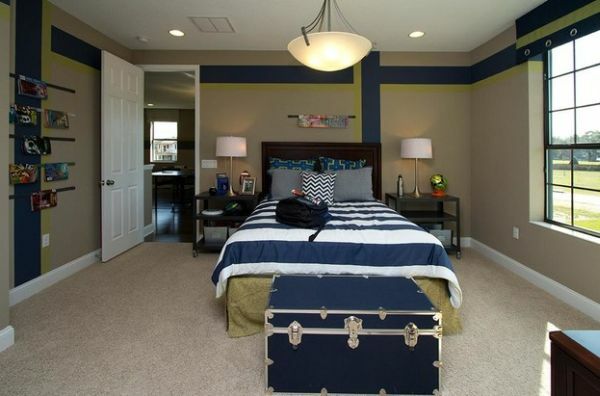 Some shades of blue also gel well with the golden yellow accents and fresh greens. But always remember to take into account the input of your kid as it is ultimately their special abode! 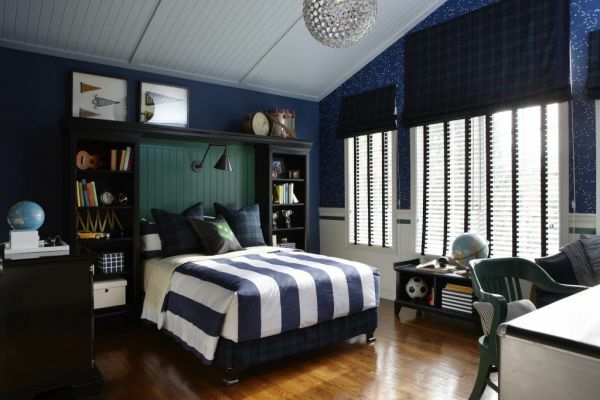 Green, blue and white boys’ bedroom – A refreshing and rare combination! Nothing can more quickly reveal aspect of personality and character than the choice – or absence – of color. 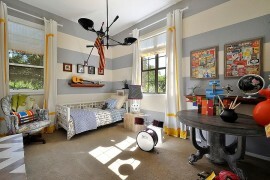 This is precisely why choosing color for your interiors comes ahead of the theme!